In honor of our mom’s birthday today (Happy Birthday Mom!) and America’s birthday on Saturday, we thought we’d share with you one of our favorite flavors of pudding shots–Birthday Cake! 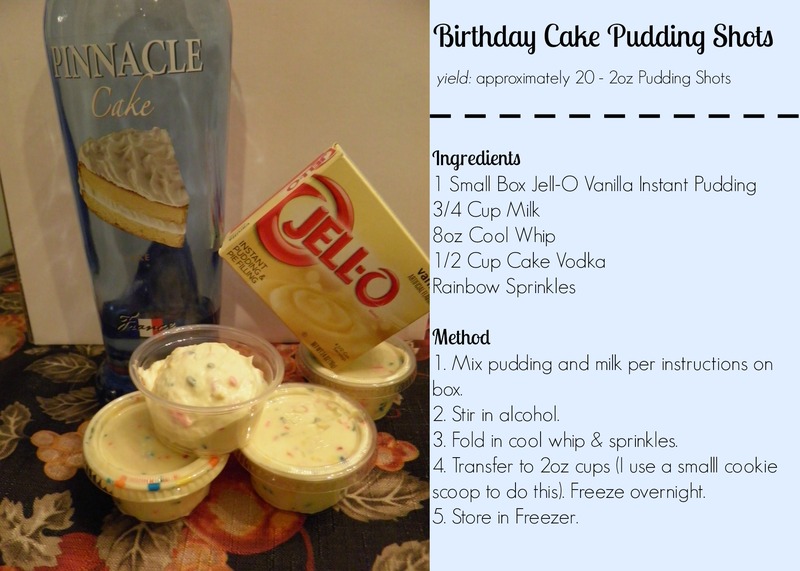 These pudding shots utilize vanilla pudding and cake vodka to get that great birthday cake flavor. Sprinkles finish off not only the birthday cake flavor, but also make them look festive! I recommend using red, white, & blue sprinkles instead of rainbow sprinkles if you are making these for your 4th of July party! If you are looking for a few other flavors of pudding shots for your next party, be sure to check out our other recipes!